A typical fruit stand from afar, this store in Kowloon City sells some of the top quality exotic fruits freshly flown in from around the globe. Some of these fruits can be spotted at higher-end supermarkets (like City super or Three sixty), but the freshness and quality of the ones sold at this particular store are unparalleled. Kumquats (sort of like mandarins) are usually ridiculously sour and I used to deem them inedible. 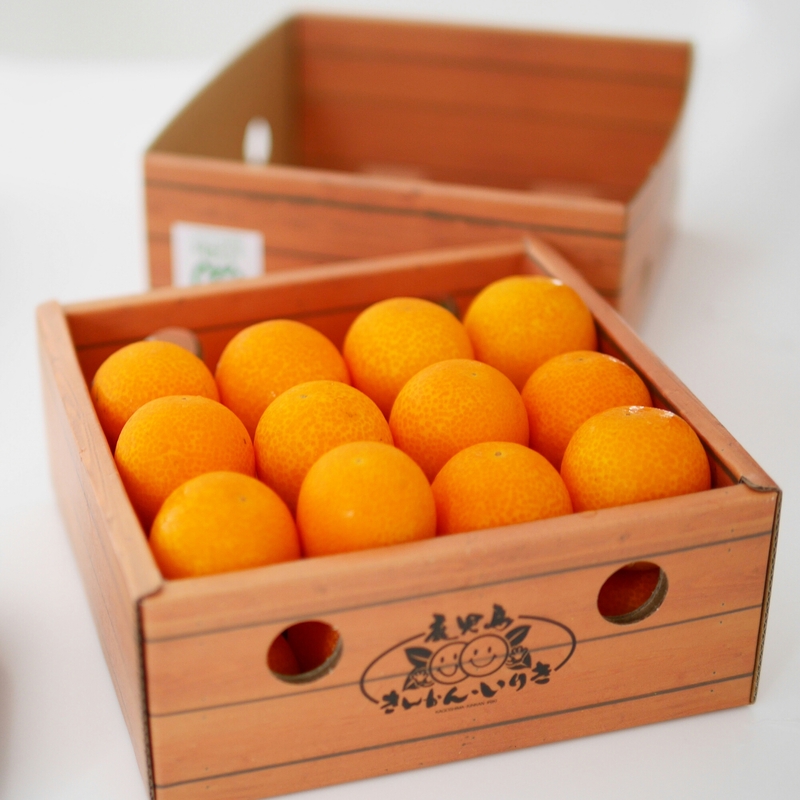 But not only are these sweet, you can eat the soft skin on these Japanese Kumquats and it tastes incredibly good! You simply bite into the skin and the centre is soft and fibre-y (like an orange). There’s a hint of sourness but most of them are very sweet. Some supermarkerts sell similar ones in similar packaging – but I tasted one before and the texture and taste turned out to be completely different! A box of 32 costs close to HK$600. You’d think these are strawberries gone bad, but they are actually meant to be better the whiter they are. 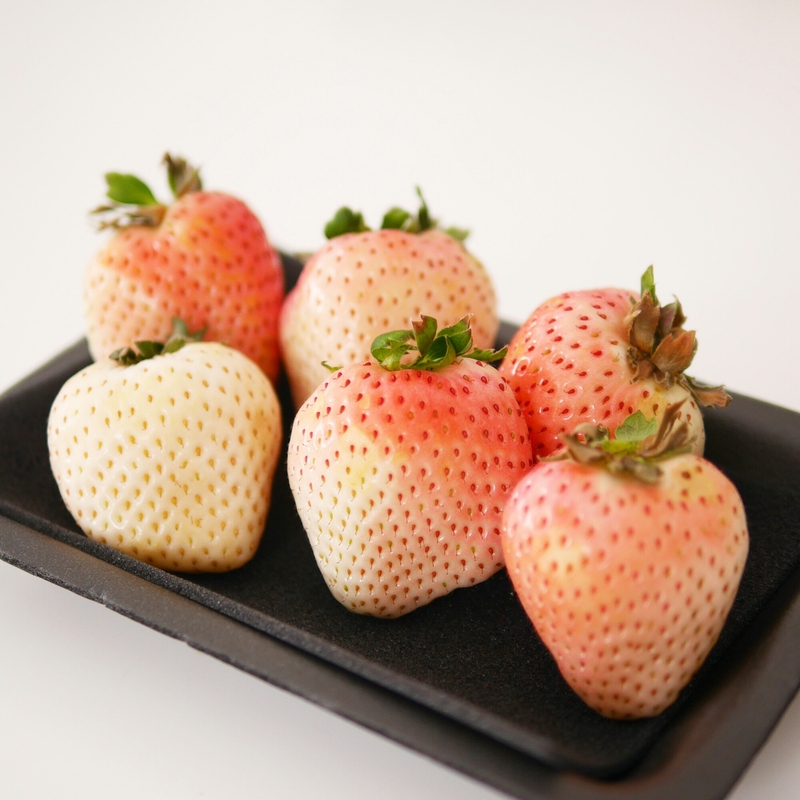 The taste differs quite significantly from the normal red strawberry; it’s refreshingly sweet. The taste and texture reminds me a bit of a peach – it might be some kind of hybrid! They cost about HK$400+ for six pieces. 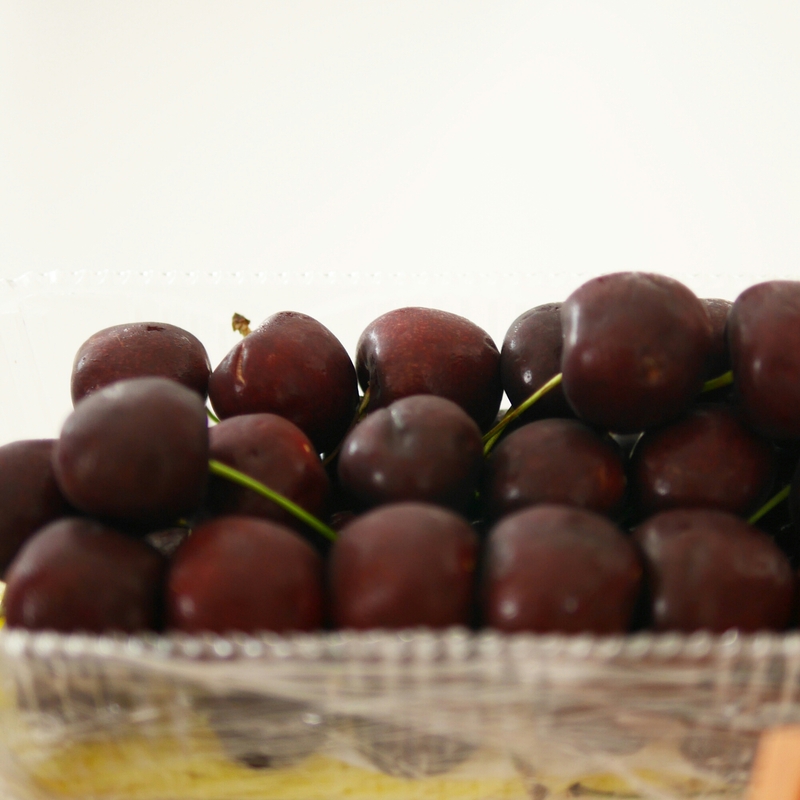 From closer examination, these cherries are actually a lot plumpier than even the best ones we find at the markets. They didn’t look perfect; some looked slightly battered. But each one of these cherries had a firm skin that was nicely cracked into with each bite. There was so much meat on each one and the taste was uniquely delicious – just slightly varying from the usual ones. This must have been my favourite one of the lot! Apparently this is the perfect season to have them! They cost about HK$500 for this lot. I actually received these fruits as gifts for Chinese New Year. Given how ridiculously expensive they are, it’s impossible to justify their “worth” for daily consumption. But they’re great to try out as they really do offer unique tastes and hence is a good alternative gift for the curious (which could be yourself too)! Yuen Hing Fruit 源興水果專賣店 is located on 110 Nga Tsin Wai Rd , Kowloon City. They also have an online shop here.